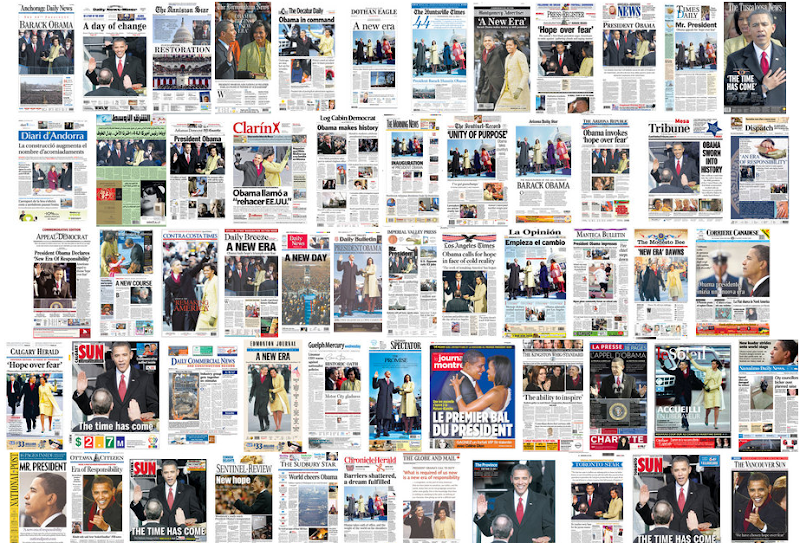 Today, Obama's iconic face graced the front page of over 400 hundred news paper from around the world. Here is a link to a cool page with all of them. Here is a short video with Shepard Fairey, the creator of the multicolored Obama portrait poster.